Can You Sell Power Back to the Grid in California? 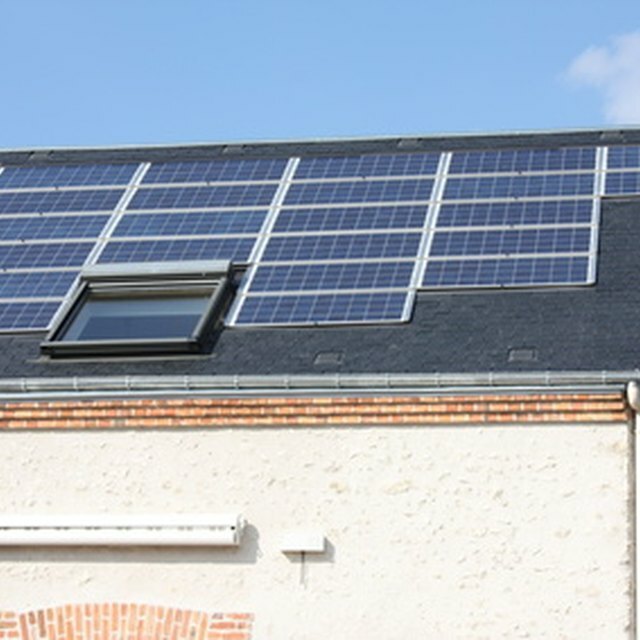 Adding solar power to your home can be extremely beneficial. Solar panels don't just reduce your electric bill; they also can reduce your tax bill when you install them and even increase your property value. While solar installations are particularly advantageous in areas that have large amounts of sun and relatively high electric rates, they still can be valuable even if you don't live in a high-sun area like the desert. A solar system consists of two major parts. The most visible part is the array of solar panels that typically sits on your house's roof. While you can buy a solar system of any size, one rule of thumb is to buy one kilowatt of capacity per 1,000 square feet in your house. In other words, if you have a 2,200 square foot house, you'd buy a 2.2kW system. The other part of your solar system is the inverter, which takes the direct current power from the solar panels and converts it into the same alternating current power that your utility provides. The U.S. Solar Energy Industries Association quotes an average cost of $5.21 per watt for residential solar systems, as of the third quarter of 2012. This means that, on average, a 3.5 kW system would cost approximately $18,235. However, as of the date of publication, the federal government offers a 30 percent tax credit against the cost of the system, which would reduce its effective cost to approximately $12,765. Many states, local jurisdictions and utility companies offer additional rebates that can further reduce the cost of installing the system. Some solar installers even offer leasing programs that have low or no down payments and offer low monthly costs. In most parts of the country, utility companies offer a program called net metering. If yours offers net metering, it has to buy power from you at the same rate that it charge you. In other words, if you get 10 more kWH out of your solar system than you use per day, your electric company must credit you for that 10 kWH worth of power per day. If you pay 15 cents per kWH, you'd get a credit of roughly $45.00 per month. How Much Does it Cost to Apply Solar Panels? Can I Receive a Tax Credit for Air-Source Heat Pumps? Should I Buy a High-Efficiency Furnace? Does a Sprinkler System Add to the Value of a Home? Research from the Department of Housing and Urban Development indicates that for every dollar that your annual electric bill goes down because of your solar system, your house's value goes up by $20. For example, a system that saves you $50 per month saves you $600 per year and increases your house's value by $12,000. This goes a long way towards paying back what you spent on your system. Another survey conducted by the Lawrence Berkeley National Laboratory in 2011 finds that a 3.1 kW system adds an average of $17,000 to a California home's value, which is roughly what the system costs to install.